Demonstrator pens, also known as skeleton pens, were originally furnished by manufacturers to dealers, so that the features of their products could be shown to potential buyers. Sales reps from the classic era would not have called on a customer without a couple of these demonstrators in his sample case; they would use them to show dealers the latest tricks for keeping ink inside a pen. Today, many collectors seek out these rare old demonstrators. The first demonstrators had openings cut in their barrels, and usually, their caps. These would typically allow direct viewing of the filling mechanism and the section-inner cap junction, respectively. The first transparent demonstrator pens were probably Parker's Bakelite-barreled eyedropper-fillers, which were soon made a regular production model. Parker and Sheaffer both made fully transparent versions of their best-selling Duofold and Balance models in the early 1930s. Other demonstrators were only partially transparent, the transparency highlighting the pen's special features. The demonstrator is still with us today, although it is no longer just a sales tool; demonstrators are offered to the buying public as "special editions" of established pen lines. For example, Aurora recently offered a completely transparent version of its venerable 88, while the translucent Pelikan 200 would also have to count as a demonstrator of sorts (although its colors are a bit too dark perhaps for true demonstrator status). Lamy also offers a demonstrator in its Vista variant of the economy-priced Safari. Omas has also offered numerous see-thru pens. There are plenty of other examples to be found among modern luxury pen manufacturers. In recent years, transparent fountain pens have become very popular. In contrast to demonstrators past, which were made in very limited numbers and not sold to the public, these pens are regular production items, though sometimes made as limited editions. This trend may be traced back to Pelikan's transparent green M800 and transparent blue Blue Ocean M800 of 1992. 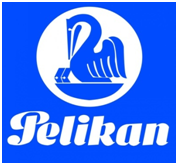 To that end, currently the most popular demonstrator brand, Pelikan, announces a new special edition, the Pelikan Souveran M805 Demonstrator Fountain Pen. Pelikan launched the Demonstrator in 2008 with transparent barrel to show how the piston mechanism works. With the huge success of the series, Pelikan re-launches the writing instrument in size 805. Featured with palladium plated trimmings and 18k gold nib covered with rhodium, the writing instrument can been held snugly in palm of hand and experience effortless writing. It is available in different nib sizes.